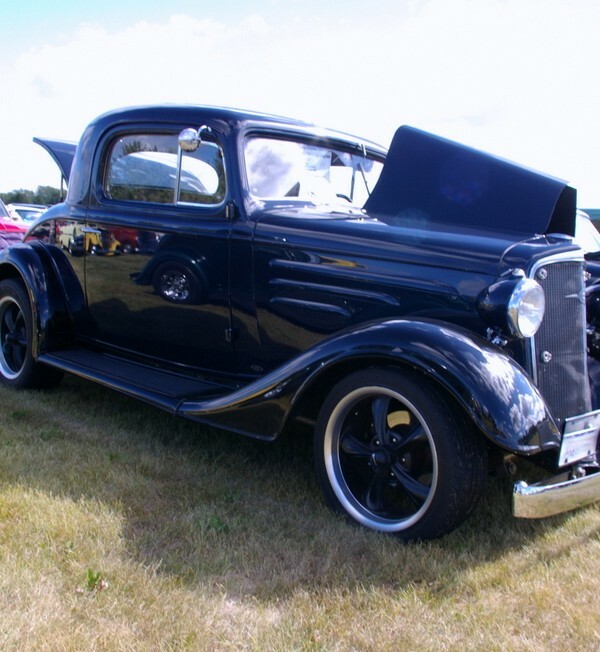 The darling of the 1930s has always been the Ford deuce coupe made famous by hot-rodders and the Beach Boys. However, most car guys would agree that any car built during the Dirty Thirties (The Great Depression) has built-in curb appeal. 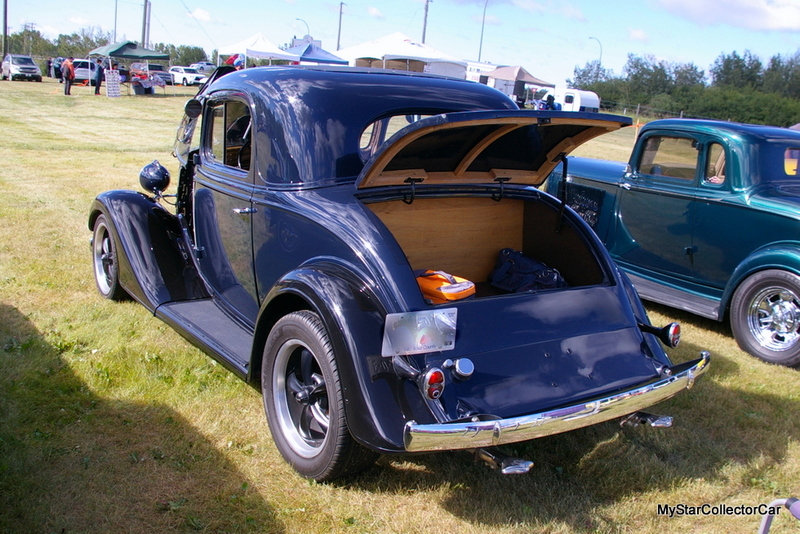 The basic body style of a 1930s-era car is unique in its own right-and a 1935 Chevy three window coupe is a strong representative of the bygone automotive period. 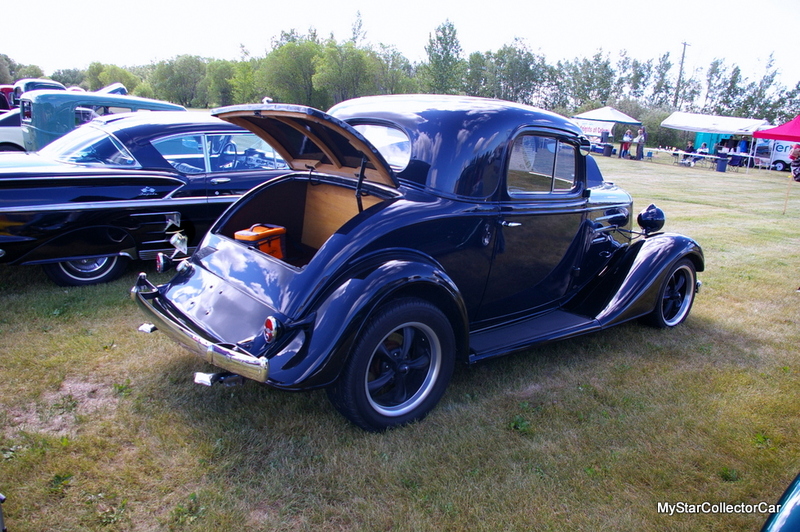 MyStarCollectorCar was able to obtain the story behind a very cool 1935 Chevy three-window resto mod coupe from its current owner, Doug Gordon. 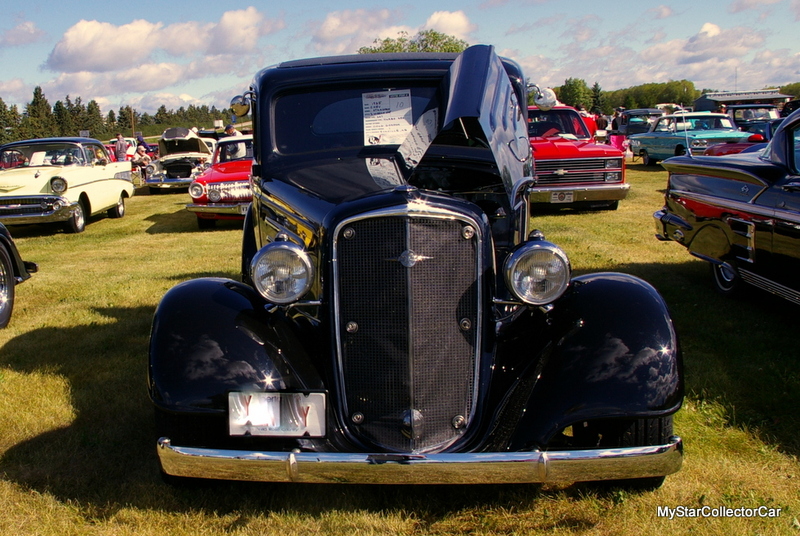 Doug wanted to give full credit to its former owner because the previous owner was the man behind the Chevy’s transformation, so he included ‘Hinchy’ to honor the car’s last owner on the plate. 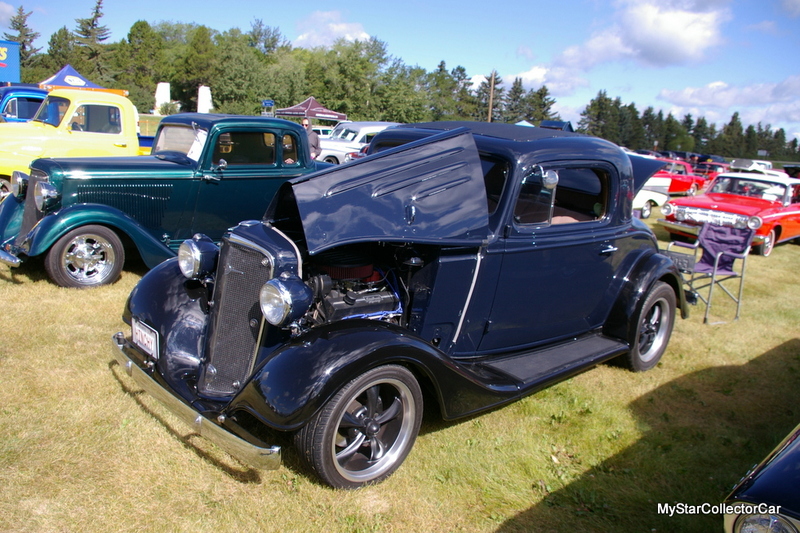 The former owner actually had two stories about the ’35 Chevy three-window. The first story: “Hinchy” is the shortened name of the previous owner (who is more accurately known as Mike Hinchcliffe) restored the car back to its original specs in 2011. 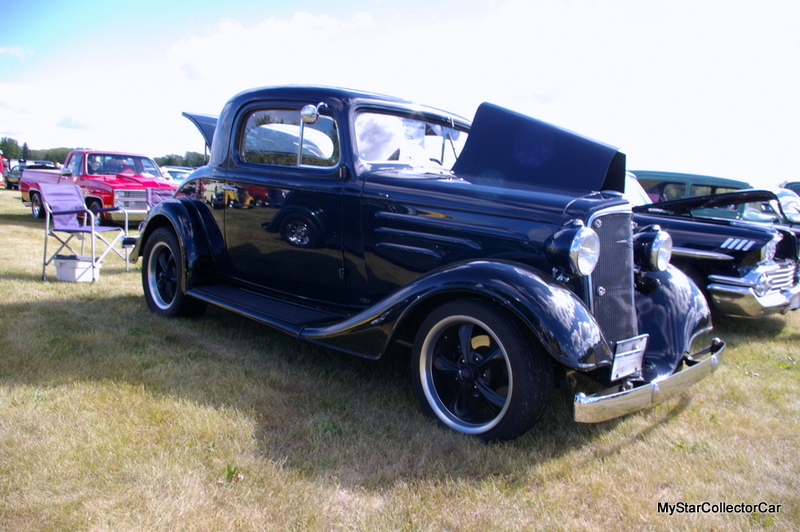 Mike drove the stock version of his Chevy three-window coupe for about two years and thoroughly enjoyed the experience of a pre-war car in a 21st century world. 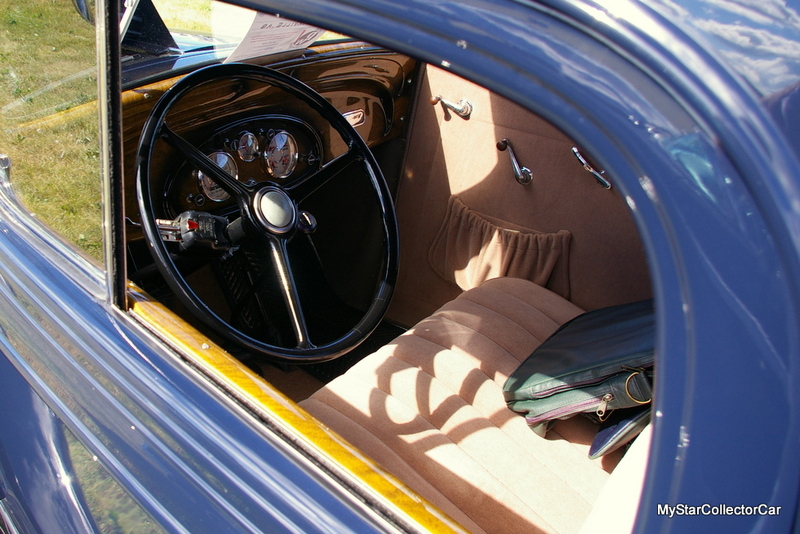 Most car guys already know that a mid-1930s Chevy had an abundance of wood components in its frame because the car’s modest horsepower in stock form could easily handle the stress. In fact, the car could handle most obstacles in stock form-with the important exception of modern traffic conditions where traffic is much heavier and cars are much faster. 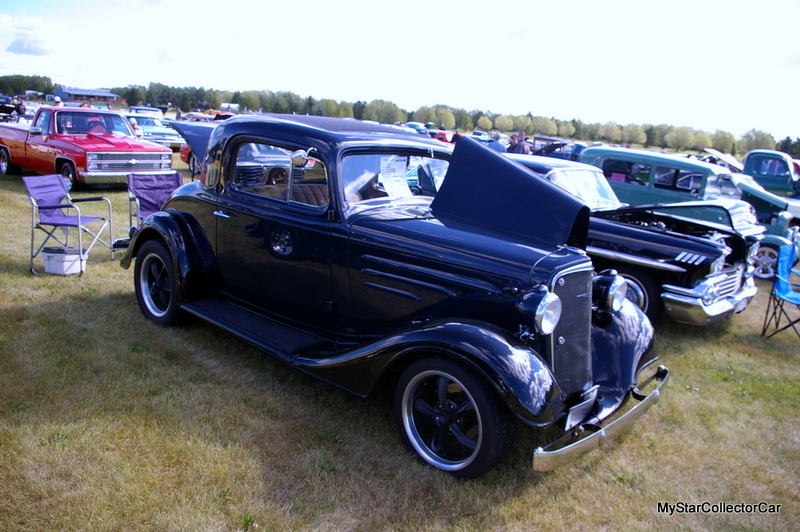 Consequently, Mike (Hinchy the former owner) decided to build a hot rod version of his 1935 Chevy coupe after he drove the car in its restored stock form for a few years. 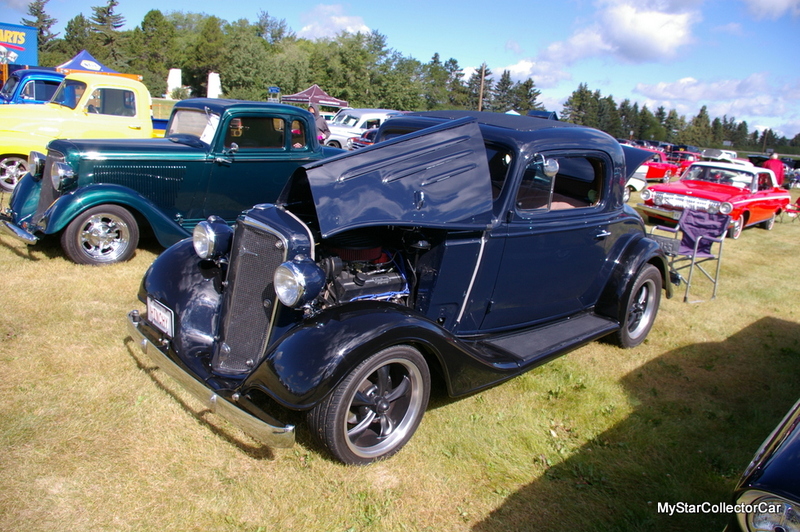 For Mike, the ’35 Chevy’s conversion into a hot rod had to respect its roots as a vehicle built 84 years ago, so he built a subtle hot rod. 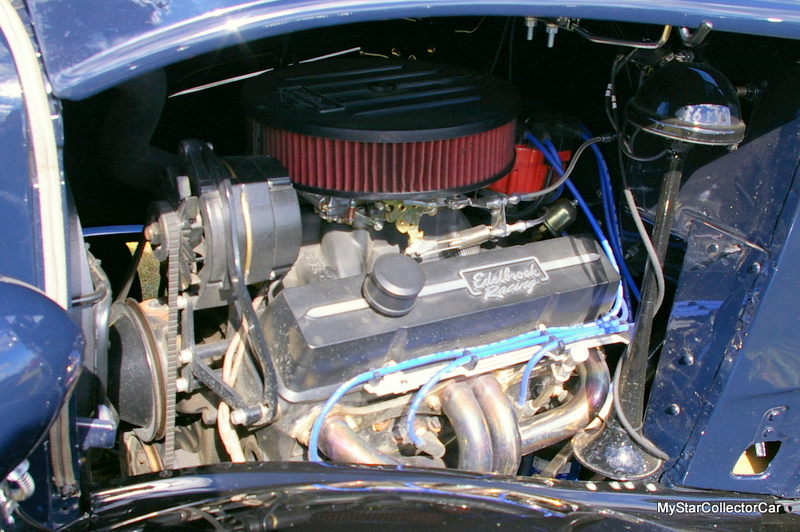 The car now sports a classic 327 Chevy small block bolted up to a Turbo 350 automatic transmission, along with a stylish instrument cluster that was custom-built by Mike and his wife. The Chevy now has a four-wheel disc brake system that helps slow it down when the classic small block V-8 engine powers the car well past its top speed in stock form. As mentioned, Doug Gordon is the Chevy’s current owner and he recalled the car’s 2017 sale to him very well because Mike had seller’s remorse within a week. In fact, Mike wanted to re-purchase the car because his own family was not happy about the sale. However, current owner Doug loves the car because it represents everything that is right about a hot rod conversion to him (respect the car’s heritage and make improvements that don’t compromise its vintage style). Doug will keep the Chevy and allow Mike to be the first person to have an opportunity to buy it if-and that’s a huge if-Doug decides to sell it. MyStarCollectorCar doubts whether the very cool 1935 Chevy resto mod will ever be sold by Doug because he loves driving his subtle hot rod. But he has a very interested buyer if that situation ever arises in the future.